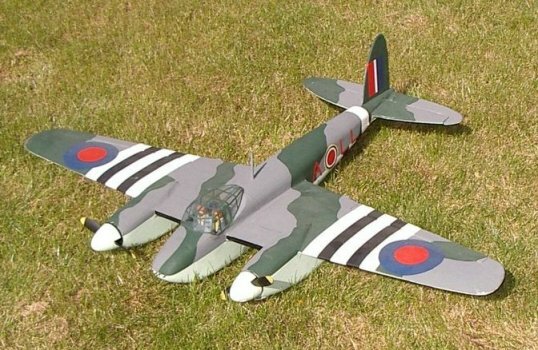 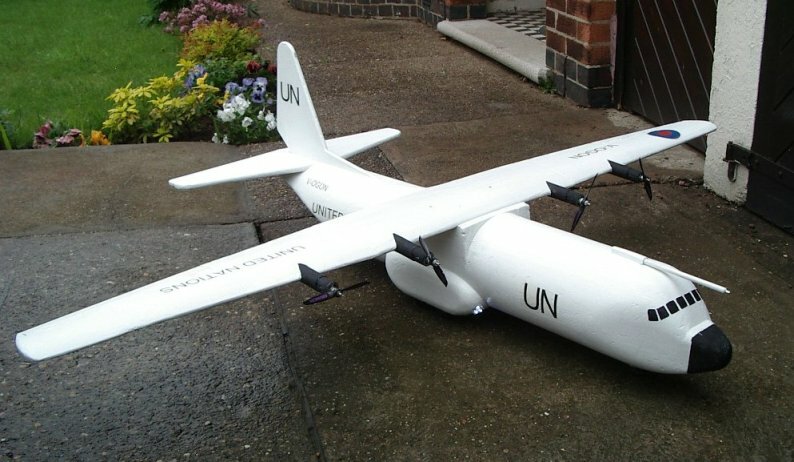 These aircraft are all electric powered, but utilise the brushed type of motors. 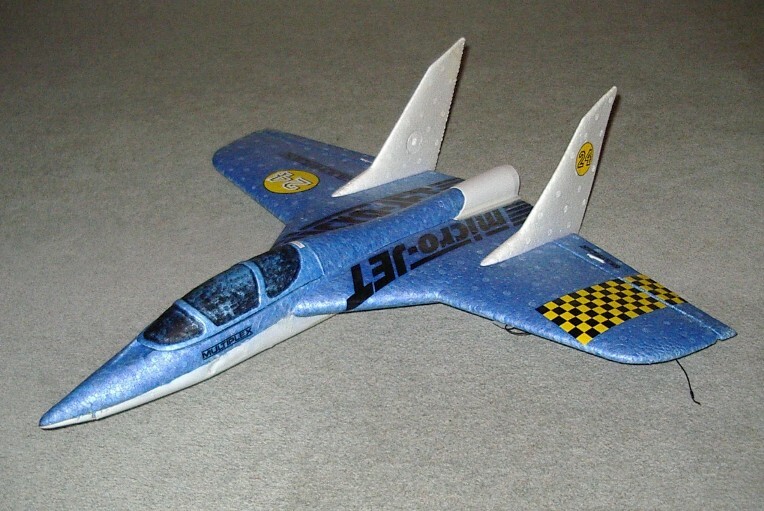 Power would be increased with a brushless upgrade, but most of the models fly well enough on this setup. 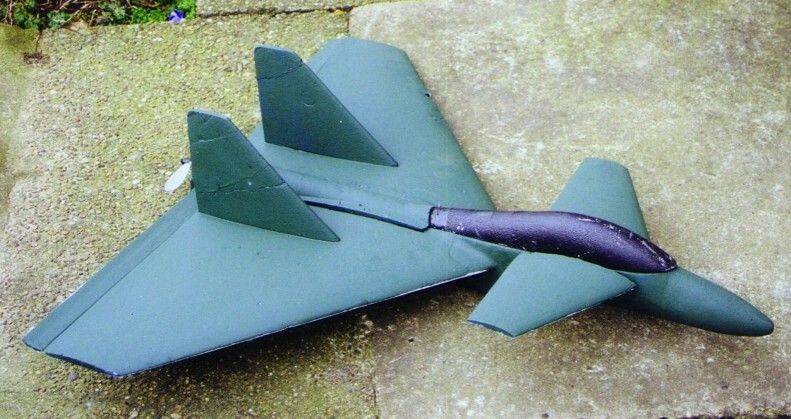 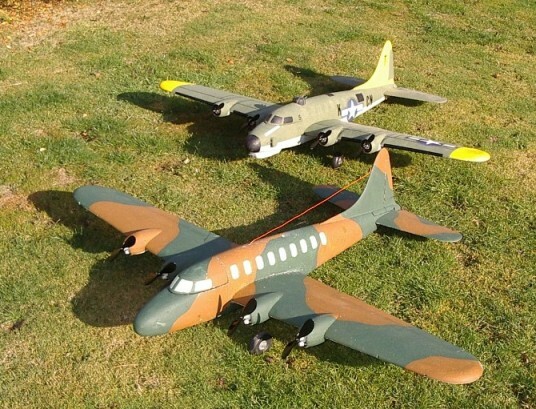 Multi-engine brushless becomes expensive, so these have all been left alone. 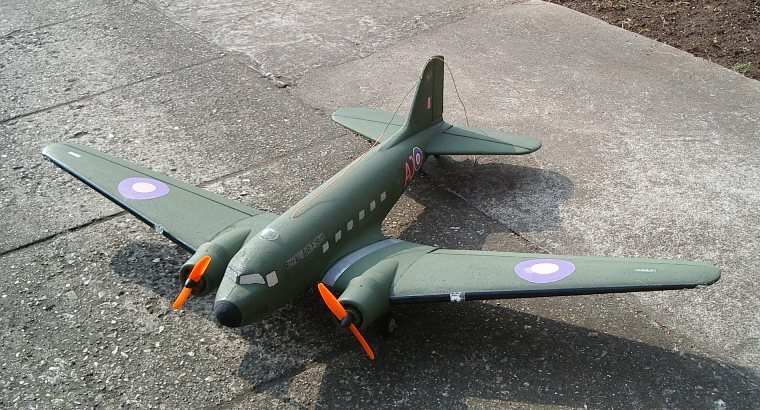 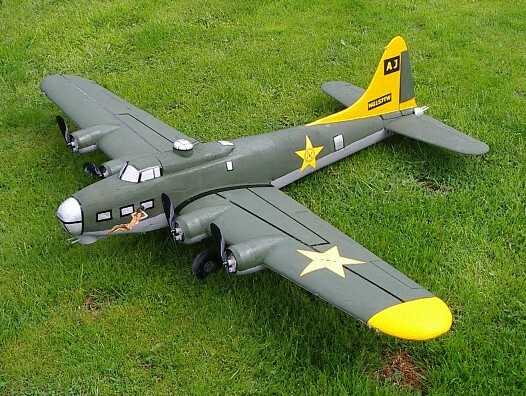 Multiplex's Cargo Geared 480's with additional foam bits and carvings to give a B17 feel. 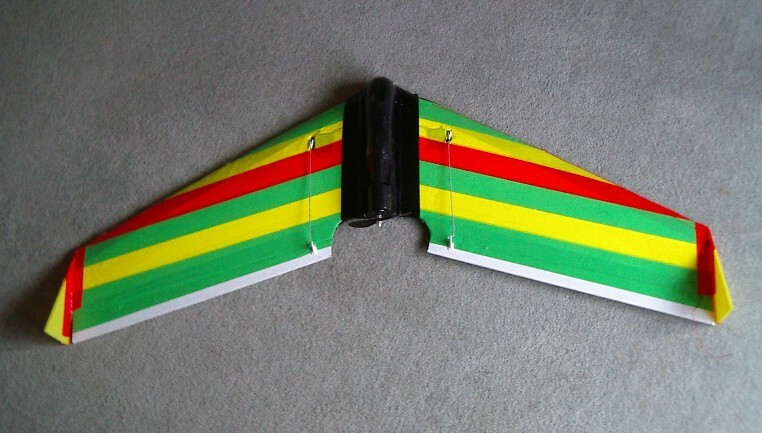 3 cell LiPo's and a ton of lead added for balance. 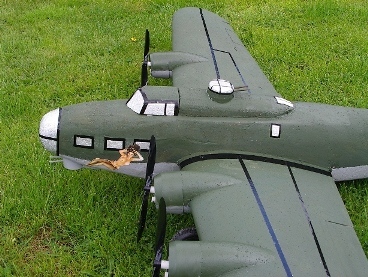 A stand-off B17 looks well in the air. 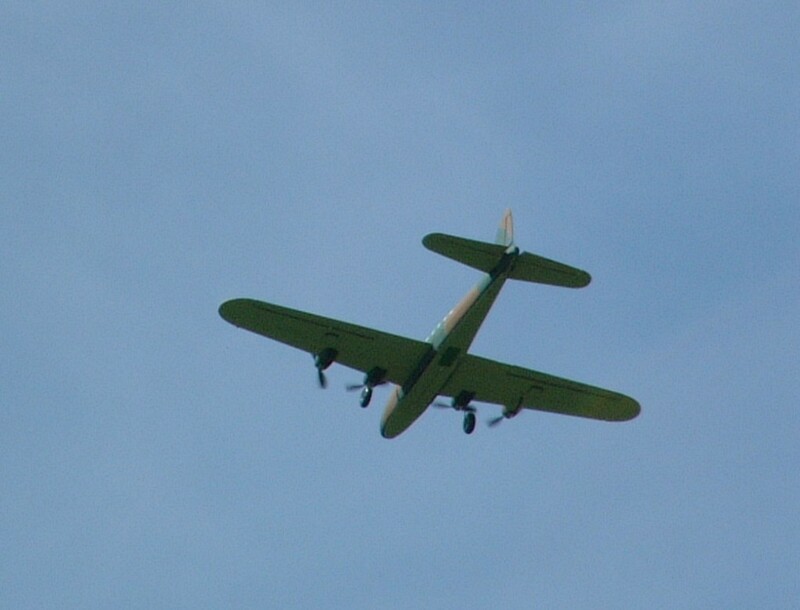 Cargo high above in the Hucknall skies. 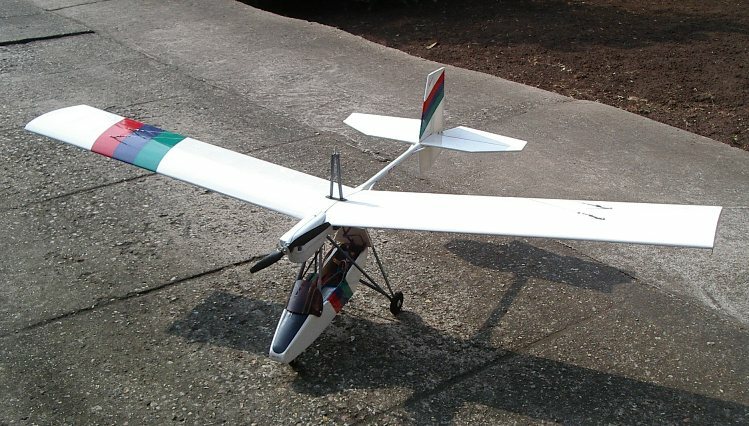 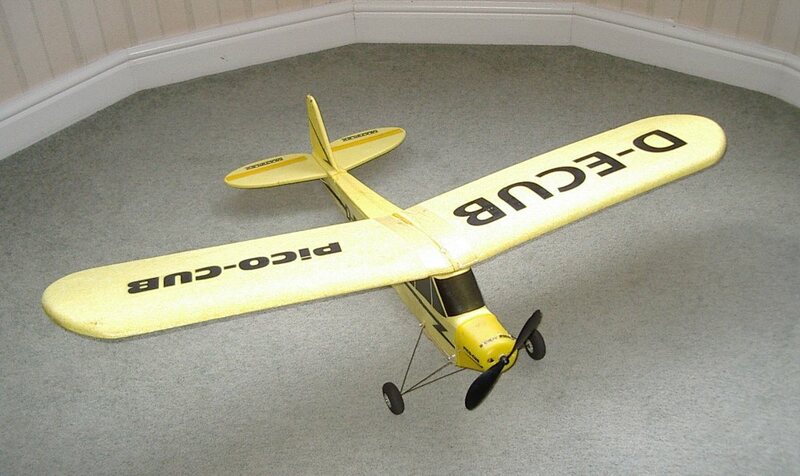 Multiplex Pico Cub with a 2 cell LiPo transformed performance. 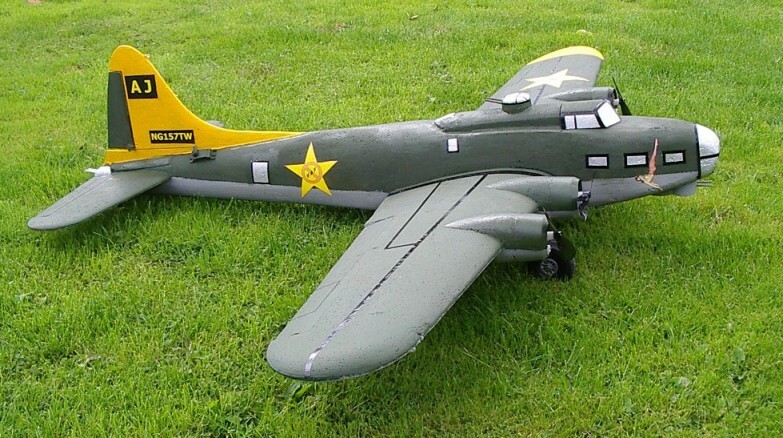 GWS Dakota with 2 cell LiPo pack, 20 minute flights on one pack. 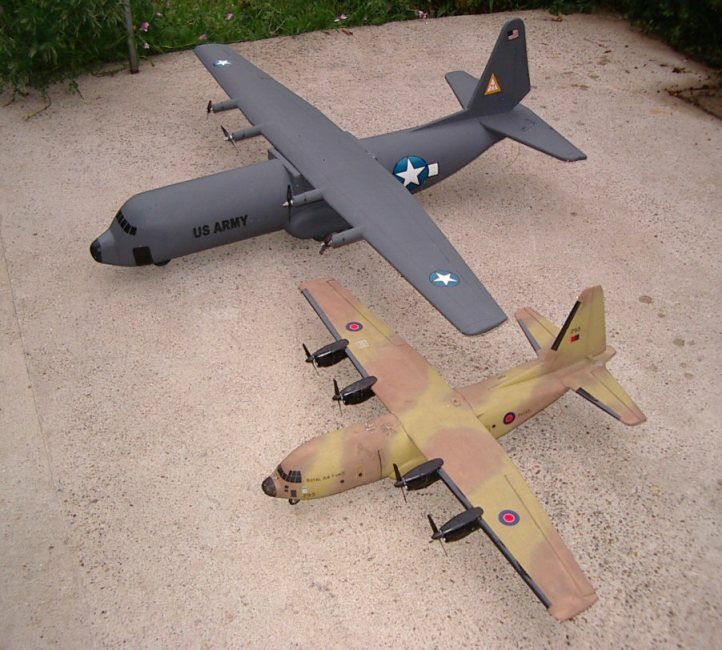 Modellhaus C130 and smaller GWS C130. 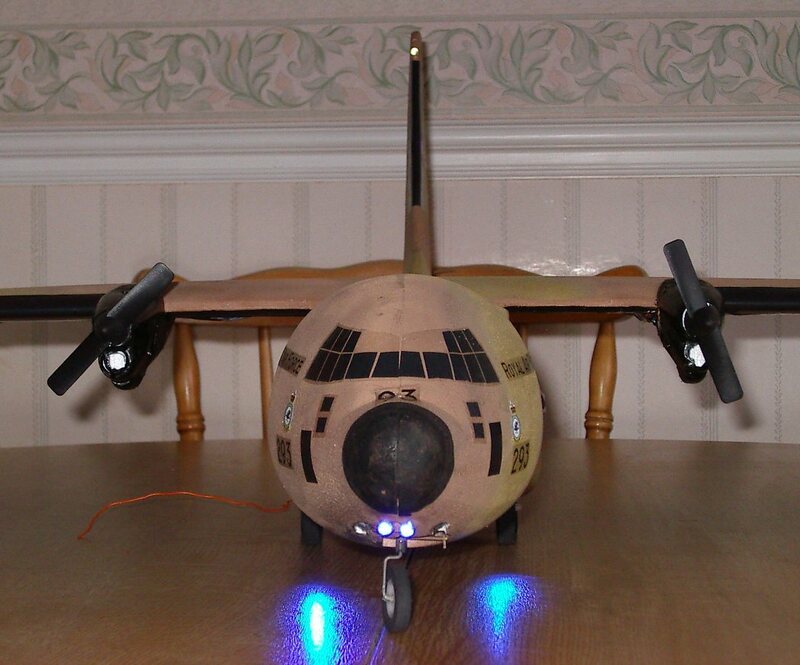 GWS C130 with lighting control board fitted. 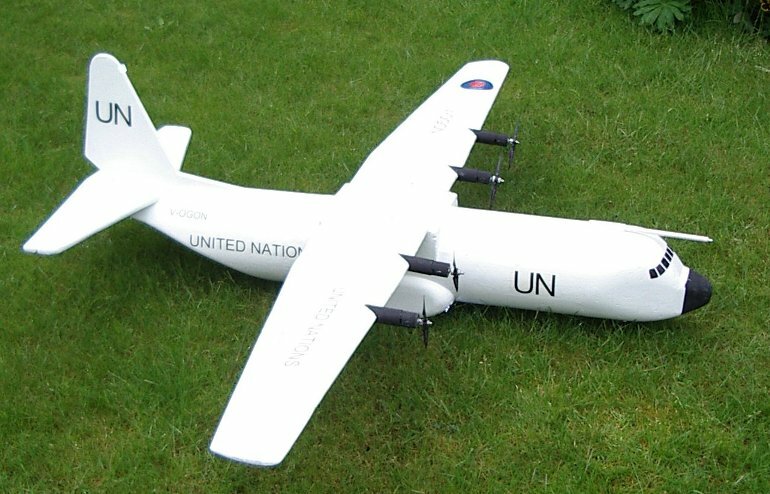 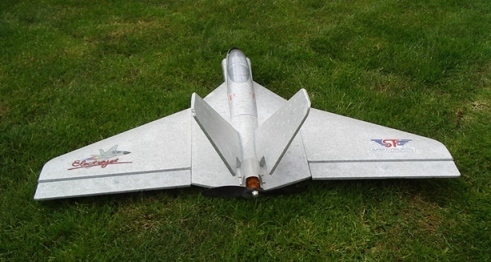 After a mid-air but safe landing with half a wing and one aileron missing, a rebuild and paint job with navigation lights, refueling boom and United Nations transfers.